Mobile is undoubtedly changing both our personal and professional lives. 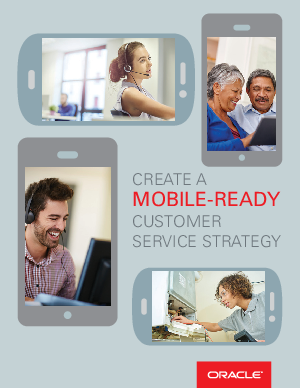 Customer service organizations should decide on a strategy to bridge the gap between mobile behavior and customer service. This requires a strategic review of value drivers, combined with a tactical search for relevant use cases. Don’t fall in the “we need an app for everything” trap — some users need big screens, some users don’t. Some need a rich experience, others just need basic functions. Your strategy must take all of these dynamics into consideration.